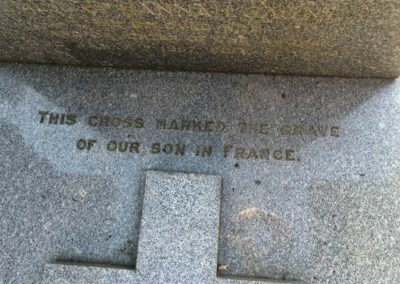 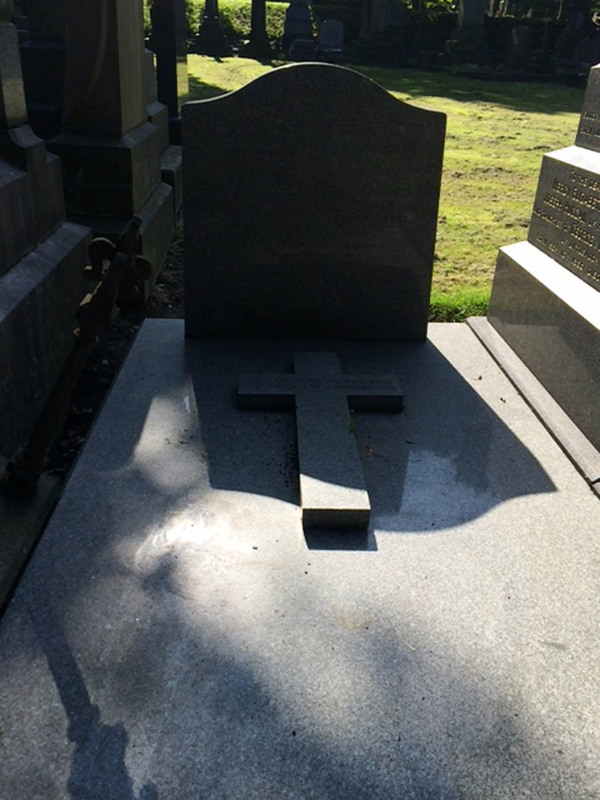 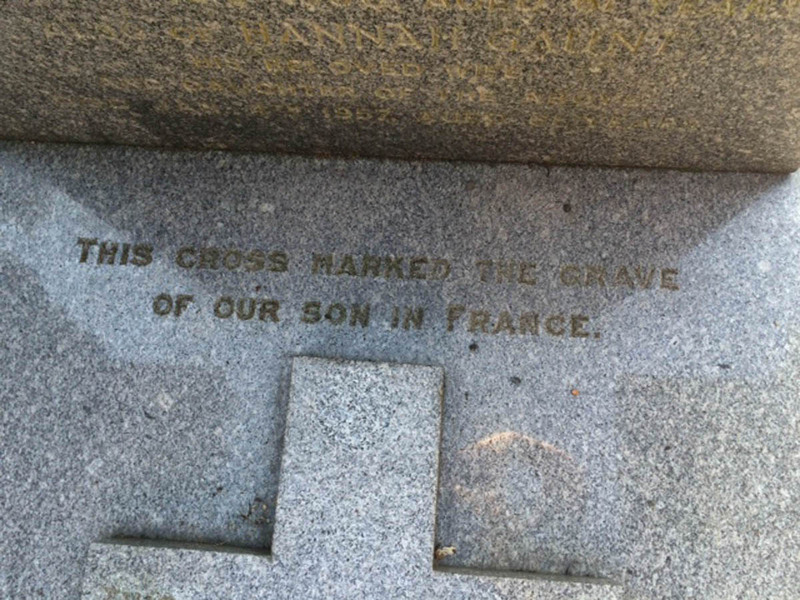 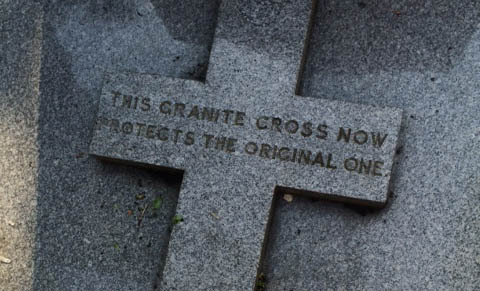 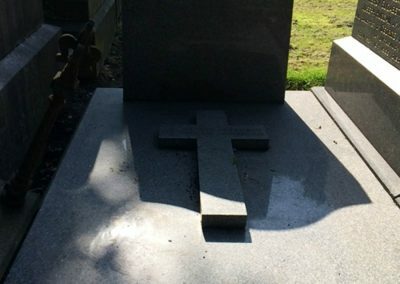 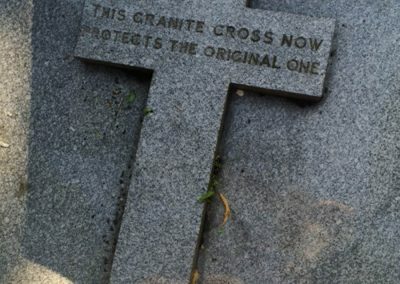 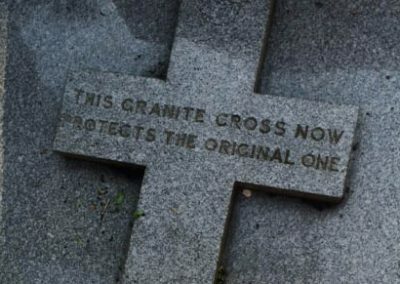 Details on cross : Not possible to see as protected by granite case. 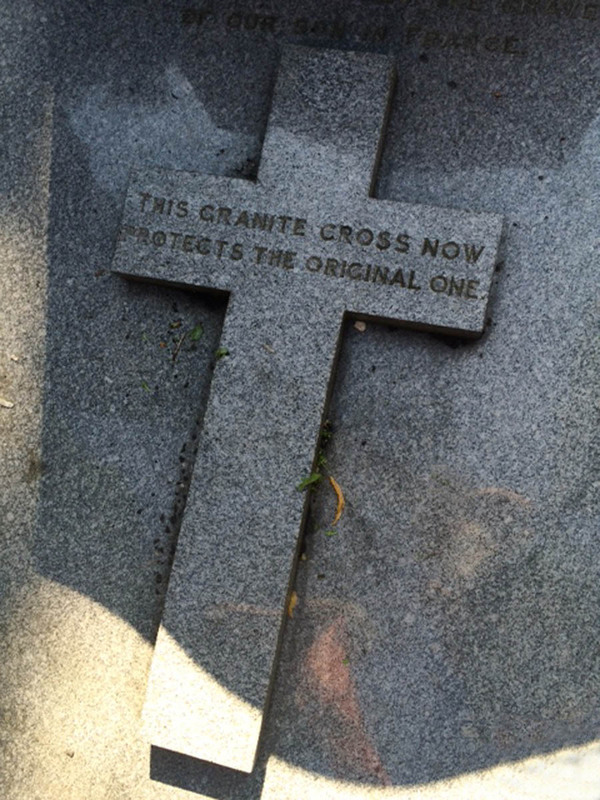 Mounting to wall: Mounted to family grave and now protected by granite case. 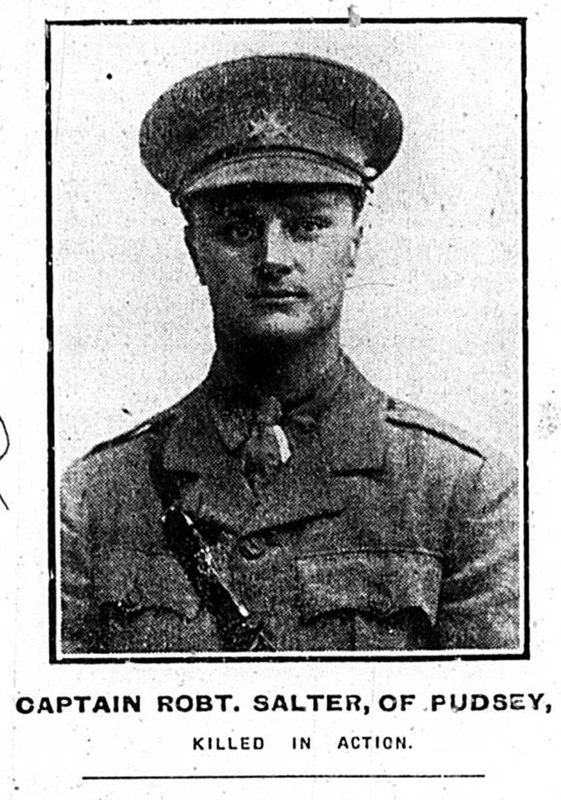 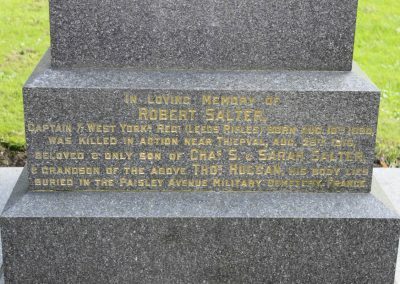 Captain Robert Salter, son of Charles Salter of Pudsey. 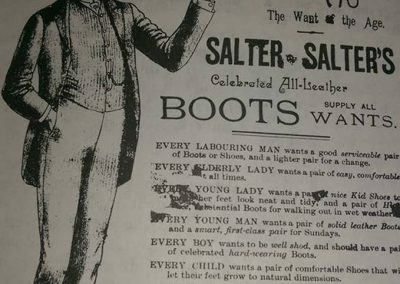 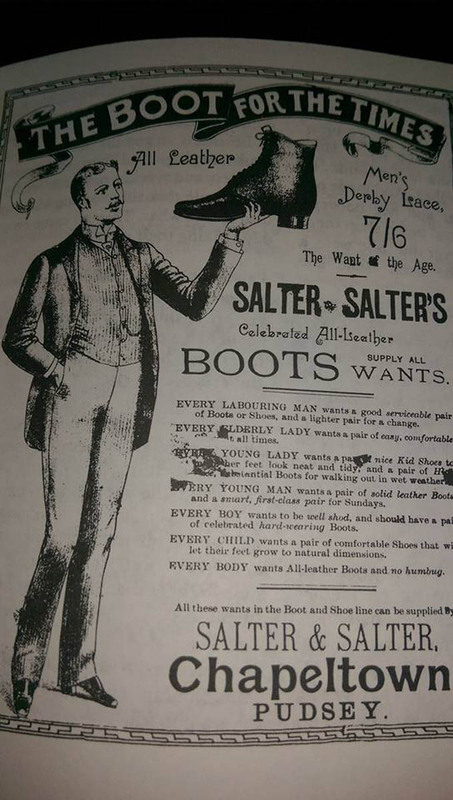 Educated at Fulneck school, his fathers family owned Salters & Salters – the successful boot manufacturers. 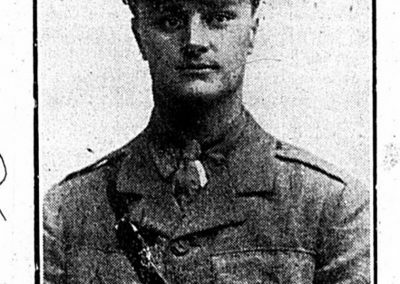 On August 26th 1916 during the Battle of the Somme, Robert led his section of the 7th Battalion Leeds Rifles in a charge across no-mans land from which he didn’t return.“Roddie” is buried at Lonsdale Cemetery, Authuille near Thiepval. 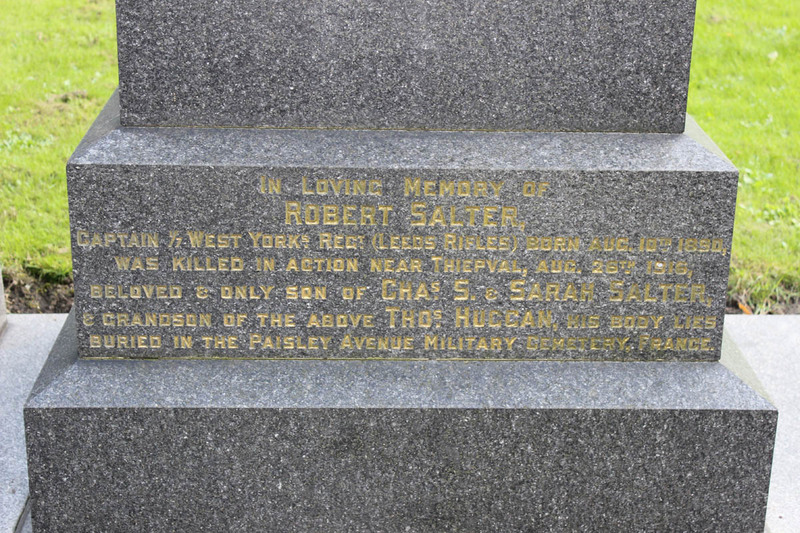 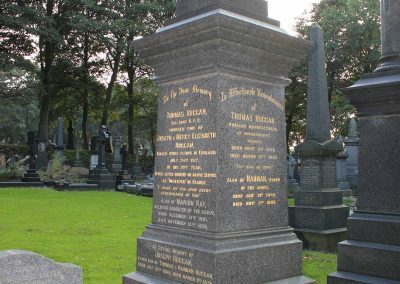 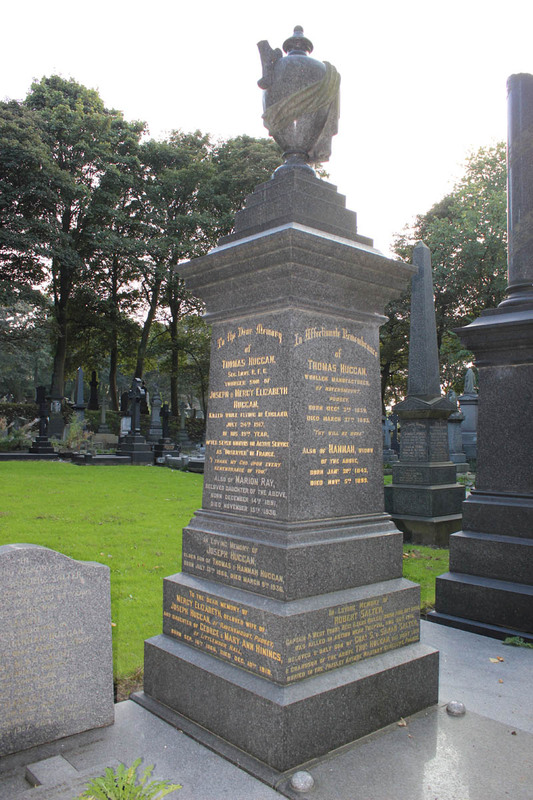 He is also named on the family grave in Pudsey Cemetery.